This gorgeous #winterrosequilt made by @tljensenrn is finished! I used digital quilting patterns from six different designers! Pretty dinner at @mamaleone_ ‘s house. Yum! When the snow is taller than your dog so you have to make a trail. I finished this one today for my mother-in-law. All of the beautiful quilting patterns are by @sharon.nz.houseofcreations.biz She even made the quarter circle feather block for me within a half day of my request! Thank you, Sharon! 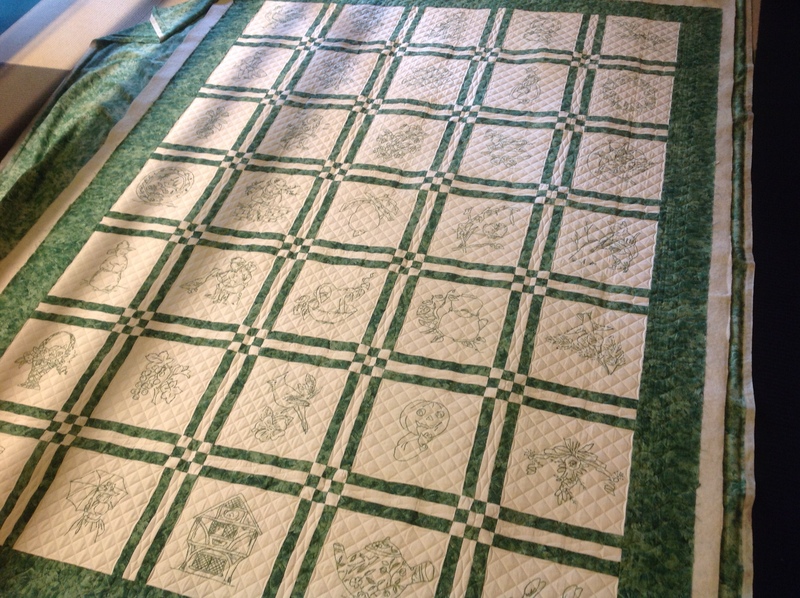 I completed these four customer quilts this past week for Laura. I love how they turned out and her piecing is amazingly precise!